**The Longs Recycling Center will be closed for construction from March 29th thru April 18th. The Longs Recycling Center is tentatively scheduled to reopen on Friday, April 19, 2019. Please visit the Brooksville Recycling Center located at 2493 Hwy 111 or the Red Bluff Recycling Center located at 755 Hwy 905 during this time. Thank you for your cooperation. 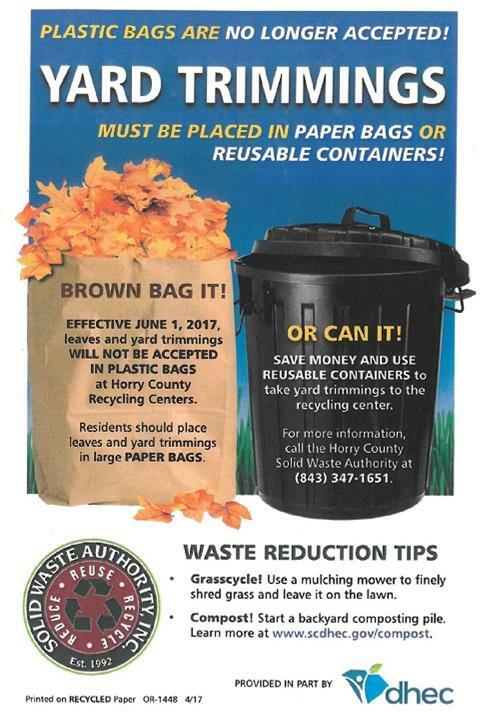 For more information please contact the Solid Waste Authority at 843-347-1651. Board Meeting - The April Board Meeting will be held on April 23, 2019, at 5:30PM in the Multipurpose Room of the Administrative Office. Click here to download the meeting Agenda. Click here to download the Agenda Packet. Earth Day at the Park - Monday, April 22nd Horry County Schools will not be in session and we are partnering with the City of Conway Sanitation Department to celebrate Earth Day at Collins Park! We will be doing activities and crafts and giving away prizes to those who come visit with our table! Come see us! Effective June 1, 2017, leaves and yard trimmings will no longer be accepted in plastic bags at Horry County Recycling Centers. Residents should place leaves and yard trimmings in large paper bags or use reuseable containers to take yard trimmings to the recycling center. Please contact the SWA at 843-347-1651 for more information. Effective May 1, 2017, all trucks and/or trailers entering and exiting the landfill must be tarped. Any truck and/or trailer not tarped will incur a fine of up to $150.00. Claire Ferrill, February 2019 Caught Green Handed Recipient. The Solid Waste Authority is looking to recognize agencies/businesses/companies that practice reducing, reusing and recycling in their daily operations, promotes the conservation of natural resources and/or utilizes sustainable business practices. The SWA's Spotlight on Environmental Awareness (SEA) Program will recognize these businesses quarterly. Please contact us at info@solidwasteauthority.org and let us know of any business/company/agency whose business practices are "Protecting Tomorrow's Environment Today". Click here to view recipients of this recognition. 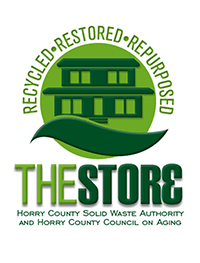 Your Solid Waste Authority, in partnership with the Horry County Council on Aging, is proud to provide a way to save money while saving the environment. The Store is a resale outlet offering used items that you can give a second life. The Store accepts donated items that can be recycled, reconditioned or repurposed for continued use. You'll find everything from household items and furniture to lawn & garden and building supplies. Stop by today... and save. 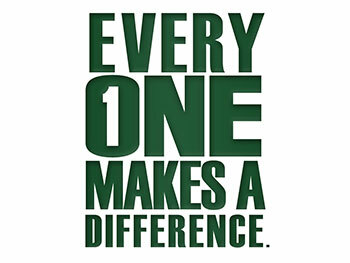 The Horry County Solid Waste Authority wants to show you the positive impact on our environment if everyone in Horry County would start recycling just one item every day. Recycling conserves natural resources to help sustain the environment, saves energy and prevents pollution, and reduces the need for landfilling. Visit one of our 24 Recycling and Convenience Centers throughout the county today... for every one of our tomorrows. 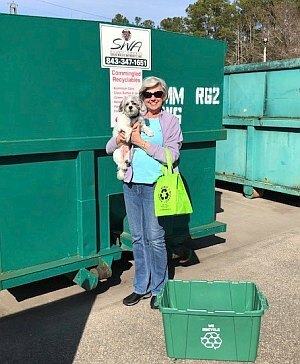 The Solid Waste Authority is looking to recognize agencies/businesses/companies that practice reducing, reusing and recycling in their daily operations, promotes the conservation of natural resources and/or utilizes sustainable business practices. The SWA's Spotlight on Environmental Awareness (SEA) Program will recognize these businesses quarterly. Please contact us at info@solidwasteauthority.org and let us know of any business/company/agency whose business practices are "Protecting Tomorrow's Environment Today". 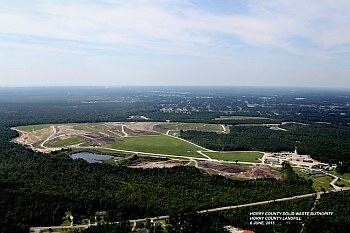 Review and download a copy of the 2018 Horry County Solid Waste Management Plan. Review and download a copy of the 2015 Horry County Disaster Debris Management Plan. 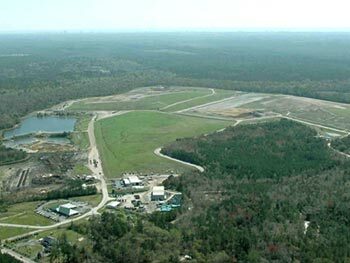 Review and download a copy of the 2016 Horry County Waste Characterization Study. Review and download a copy of the Recycling Handbook. Dispose of your residential Household Hazardous Waste (HHW) at the Solid Waste Authority HHW Facility located at 1886 Highway 90 in Conway. The facility is open Tuesday-Friday from 8AM-1PM (Call 843-458-7191 for service) and on Saturday's from 7AM-3PM. This service is for residential HHW material only - no contractors or contractor vehicles will be accepted. Residents may dispose of a maximum of twenty (20) gallons of paint per month. Call (843) 347-1651 for details.